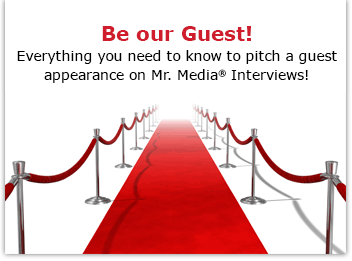 Mr. Media is recorded live before a studio audience of unruly local TV journalists who know it all but only have 30 seconds – and perfect hair and teeth – to explain it to you, the home viewer… in the NEW new media capital of the world… St. Petersburg, Florida! I was a crappy office manager. I had my shot back in 1988 as managing editor of Tampa Bay Weekly. The alternative newspaper had just been sold and I made a pretty good pitch to the new publisher to step in as editor. In terms of understanding the market and the nature of content the audience would enjoy, I think I had a pretty good handle. In terms of managing everyone from the production and editorial side to the advertising and circulation staff, eh, not so much. I had zero experience leading and inspiring others. I was extremely socially awkward, although I had managed to get engaged and was in the midst of planning a May wedding. Little things could easily set me off and I didn’t yet see the big picture, the long game, and all those other management clichés. My boss, the publisher, was based in Minneapolis and only parachuted in once a month, leaving the ad director and I in charge. He offered good advice and direction when he was in town, but we were otherwise on our own. And the ad director and I didn’t get along. That relationship went to hell when the publisher decided he needed one of the only two private offices for himself – even though he was rarely around — and forced us to share a small space. The ad director wanted the door closed at all times because she was on the phone romancing advertisers; I wanted it open so I was accessible to the staff. It was all moot a few months later when Creative Loafing came to town from Atlanta and crushed us. In the years since, I have co-authored a number of business and management books. 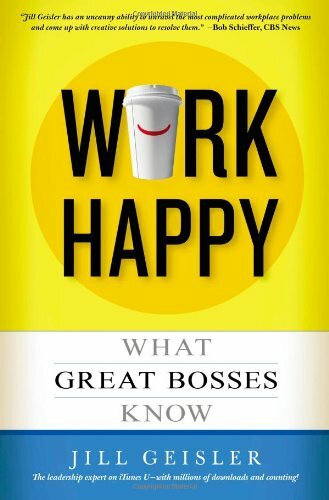 Shockingly, I have made a good living from that work, which is why I had a personal interest in author Jill Geisler’s new book, Work Happy: What Great Bosses Know. The book is drawn from her 20 years of experience running a TV newsroom – starting at the same age I was when I blew my shot in print. The difference is that Jill was really, really good at it. And because of the Poynter connection and its promotion of stuff like ethics, I will point out that I have done work for Poynter over the years, although I don’t think Jill and I have worked together before. Oh, and we’re both represented by the same agent, the fabulous Jane Dystel.